Can a modern wife be submissive to her husband? In her highly anticipated sequel to "My So-Called Life as a Proverbs 31 Wife", author Sara Horn takes on one of the most widely debated subjects for a Christian wife - marital submission. What does biblical submission look like for wives today? And why is submission viewed as such a dirty word by so many women and men in our culture, including Christians? Can a happily married couple live out the biblical model of submission and be the better for it? 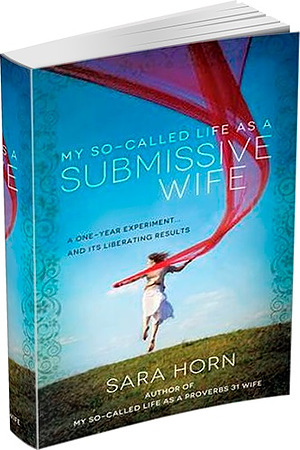 Horn takes on a one-year experiment to seek answers to these questions and to explore what it means to be submissive as a wife and "helper" to her husband. The answers - and her discoveries - may surprise you. This unique, entertaining, and thought-provoking personal account will challenge women to throw out their preconceived notions of what a submissive wife looks like and seek fresh leading from God for their lives and marriages today. My So Called Life As A Submissive Wife by Sara Horn was published by Harvest House in August 2013 and is our 18831st best seller. The ISBN for My So Called Life As A Submissive Wife is 9780736952835. Be the first to review My So Called Life As A Submissive Wife! Got a question? No problem! Just click here to ask us about My So Called Life As A Submissive Wife.